Atharvaa Murali on his prolonging attempts to make a best score has eventually landed him up towards a certain extent now. Following couple of disasters – Irumbu Kuthirai and Chandi Veeran, the actor has landed up with a conventionally substantial film ‘Eetti’. As the title suggests, it’s a film about an athlete who has an unachievable dream. Yes, to win the Gold medal for India at world level athletic race, but he has a rare disorder of bleeding. 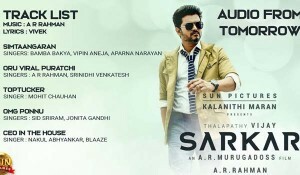 The film is directed by debutant Ravi Arasu and is produced by Michael Rayappan with Sri Divya, RNR Manohar, Soundarajan and many others in the cast. Pugazh (Atharvaa Murali) lives along with his family in Tanjore. Pampered by his parents – a honest police (Jayaprakash) and an innocuous mother, he leads a happy life and not to miss his wonderful mentor (Aadukalam Narain) who has been unceasingly motivating his dreams. On an unexpected wrong call connection, he comes across a beautiful girl (Sri Divya) from Chennai. Then, there is a much dreaded mafia lord (RNR Manohar) who is running counterfeit business for a very long time. 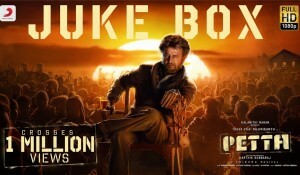 Well all these characters in different places have their lives intercrossed and during this juncture, Pugazh is stuck between the unexpected turmoil and his ambitious dreams. 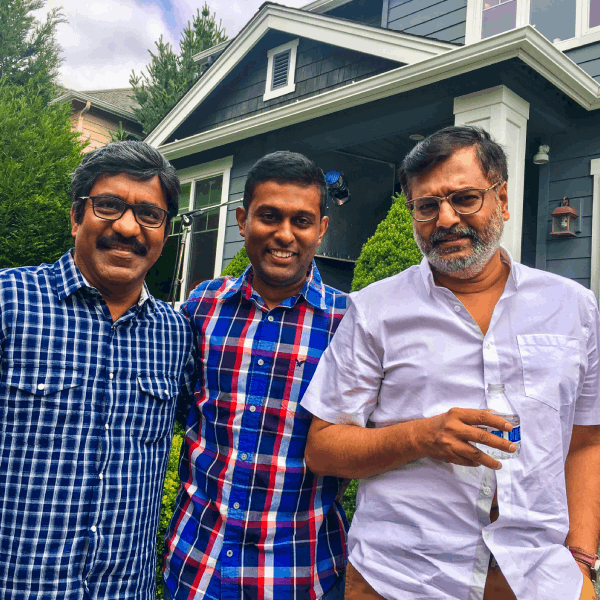 Filmmaker Ravi Arasu has tried to make sure that stereotypical factors are avoided. For instance, when we might all perceive that the baddie henchmen would crave for Sri Divya and that would actually instigate the combat with Atharvaa, we are proved wrong. It’s almost the same panache of Polladhavan, where the story travels through two different characters. But the portions involving RNR Manohar could have been trimmed. Moreover, the chemistry between Atharvaa and Sri Divya should have been enhanced with few lively portions. The episodes of Atharvaa trying to make a big time with dreams and the role performed by Aadukalam Narain are so much appreciable. 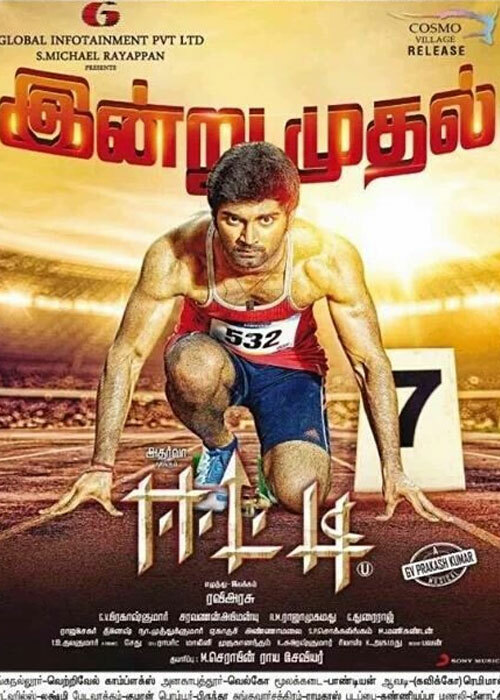 The efficient efforts of Atharvaa Murali over developing six pack is stunningly enormous. But what turns out to be fallible is the screenplay. The crispness goes missing in too many places and the director seems to have strained a lot in sketching long portions for each and every character. If Atharvaa Murali has the characterisation of achieving his dreams, it should have been more encompassing and unwontedly, the RNR Manohar portions get stretched out irking us in places. The episodes prior to intermission and the climax are appreciable. GV Prakash’s background score is appreciable. Sri Divya looks beautiful, but her performance needs to be upgraded. On the whole, Eeti comparatively to Atharvaa’s previous films like Chandi Veeran and Irumbu Kuthirai engrosses in few places. 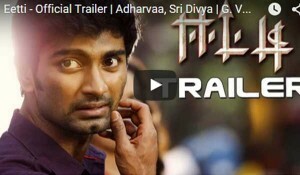 Atharvaa Murali has exerted the best efforts, but where the film drops down is the slow momentum and mediocre screenplay.